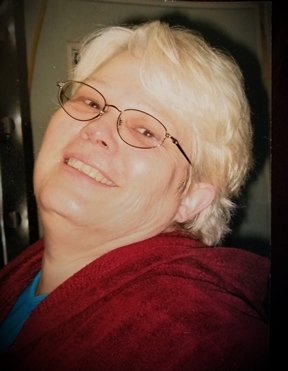 Westbrook, ME – Leana Elaine (McCall) “Lanie” Perkins, 64 died on Monday, November 13, 2017 at Maine Medical Center. She was born on March 20, 1953 in Valdosta, GA a daughter of th elate Gaston Lee & Idell (Boothe) McCall. She grew up in Greenville, FL, attending local area schools and graduated from Greenville High School. Lanie enjoyed reading, drawing, knitting and watching both football and her favorite movies. She loved helping others and spending time with her family. She is survived by her children Chanda McCall-Venable and her husband Terrance of Brandywine, MD, Tiffany Perkins and Hans Axelsen of Windham, ME and Meghan Perkins and Ross Rothwell of Portland, ME. She also leaves her grandchildren Jaylon Lee McCall of Brandywine, MD and Lela Penelope Axelsen of Windham, ME as well as her ex-husband Bernard H. Perkins Jr. of Portland, ME, her brother Earl McCall and his wife JoAnn McCall of Tennessee and her extended family, friends and loved ones in Florida, Maine and Tennessee. A private ceremony will be held with family on Tuesday, November 21, 2017.